Washington, DC — The National Community Reinvestment Coalition (NCRC) today announced five new awardees in a multi-year campaign to empower, organize and support economically vulnerable older adults. The announcement expands NCRC’s commitment to the financial well being of older Americans, following the launch in 2011 of National Neighbors Silver, a national campaign to safeguard the financial security of today’s seniors and future retirees. “Today’s older adults are working longer and living on less. For some, retirement is but a distant dream, while others face the challenge of stretching their savings or going back to work. Seniors are often left to navigate these challenges on their own. Through National Neighbors Silver, NCRC is deepening the capacity of community-based organizations to help older adults achieve economic security, moving from ‘you’re on your own’ to ‘we’re all in it together’.” said John Taylor, President and CEO of NCRC. Washington, DC — The National Community Reinvestment Coalition (NCRC), with support from The Atlantic Philanthropies, is pleased to announce its second round of funding for National Neighbors Silver, an initiative to support and empower older adults nationwide. As the United States suffers from historically high rates of foreclosure and unemployment, older adults across the nation are particularly susceptible to financial insecurity and instability. NCRC’s recent report about the financial stability of older Americans noted that over 13 million older Americans are economically insecure, living on only $22,000 or less each year. “Many older Americans face new challenges in this economic environment. The sharp reduction in the value of most seniors’ primary asset — their home — means that they are now especially susceptible to financial insecurity. Through advocacy, organizing and education, National Neighbors Silver supports participating organizations to directly tackle the root causes of the unique economic challenges faced by America’s older citizens,” said John Taylor, President and CEO of NCRC. “The failure of Congress to mandate foreclosure assistance programs that address the whole magnitude of the crisis is a reason to do more, instead of nothing. A vacuum of leadership on foreclosures will be filled by these reckless and heartless proposals unless the Administration and the rest of Congress step up, and not continue to penny ante and punt. Only twisted thinking concludes that leaving people to fend for themselves when they are kicked out of their homes is the correct solution to our economic woes. Simply put, it will make a terrible problem even worse. The real cost of these housing programs is in the lost opportunity to expand their scope. Given the fragile state of our economy, we need proposals that solve the problem, not ignore it; if we don’t, I fear we’ll be having this same debate years from now. “The only measure for the success of this plan is whether or not all creditworthy borrowers have the opportunity to purchase a home. If working class families are locked out of homeownership, and we end up with a housing finance system that serves only the well-heeled, then we will have failed miserably. “Historically, working class people have had access to private sector capital in order to purchase a home, with guarantees by the government to ensure affordability. The Administration’s plan, by emphasis and omission, suggests that this country’s commitment to ensuring homeownership for working families will be lessened. Washington, DC — John Taylor, President & CEO, National Community Reinvestment Coalition, made this statement today on Administration and Congressional proposals for Fannie Mae and Freddie Mac:”Privatizing Fannie Mae and Freddie Mac will exacerbate problems in the housing market, not solve them. 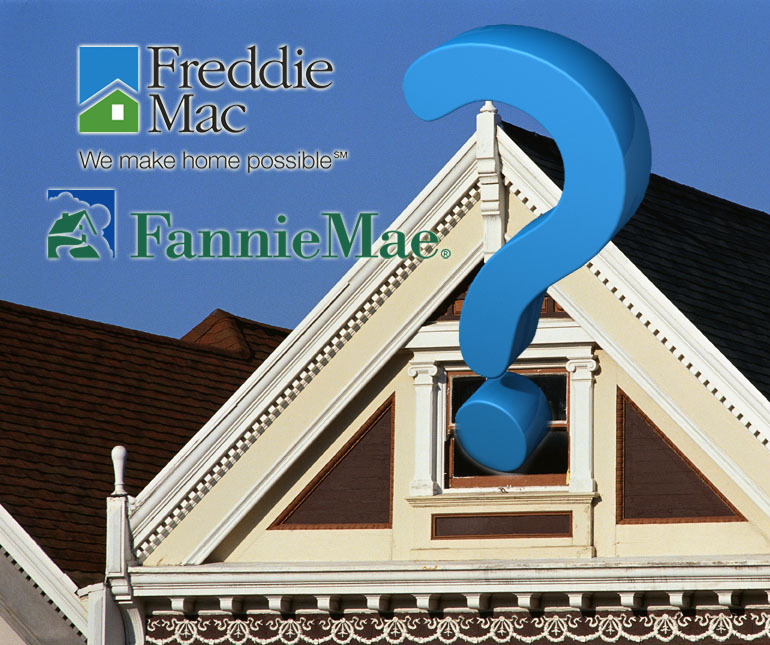 We must recognize that for 95% of Fannie and Freddie’s history they did a great job in assisting millions of Americans to purchase a home. If they go away, I fear we’ll see two marketplaces — one for the well heeled, and a more costly system of finance for everyone else. “If the private market will enjoy the benefit of government guarantees, then there must be a strong duty to serve the affordable housing needs of the country. Putting Wall Street in the driver seat without adequate oversight and a commitment to affordable housing would be a mistake. We still don’t have adequate funding and authority for oversight by the SEC and other agencies to ensure that they behave responsibly. Washington, DC — The National Community Reinvestment Coalition (NCRC), with support from Atlantic Philanthropies, is pleased to announce its 2011 Request for Proposals (RFP) for National Neighbors Silver, an initiative to support and empower older adults nationwide. As the United States suffers from historically high rates of foreclosure and unemployment, older adults across the nation are not only more numerous than past generations, but also more susceptible to financial insecurity and instability. Many older adults who lost their jobs during the economic crisis have been pushed out of the workforce and into early retirement. “Many older Americans face new challenges in this economic environment. The sharp reduction in the value of most seniors’ primary asset — their home — means that many are now especially susceptible to financial insecurity. The National Neighbors Silver initiative will support participating regional organizations to directly tackle the root causes of the unique economic challenges faced by America’s older citizens,” said John Taylor, president and CEO of NCRC. This report puts the blame where it belongs on Wall Street and the federal regulators who looked the other way. It also puts to rest the myth that making capital available to low or moderate-income borrowers was a cause of the crisis. While the report may be a day late and a dollar short, the lessons going forward are that regulators need the authority and the resources to stay on top of financial innovations and make sure risk taking does not become reckless. The other very important lesson is that regulation matters when it comes to protecting consumers. There is an appropriate and necessary federal role in ensuring access to capital and markets for nontraditional borrowers, which is why the affordable housing goals must remain a part of the mission of the government-sponsored entities.